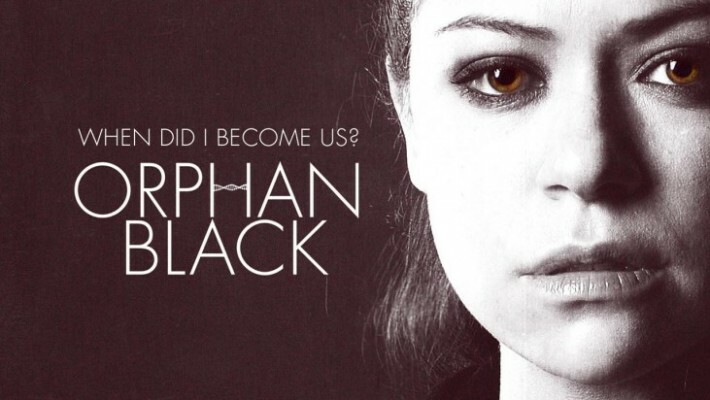 The circles Sarah (Tatiana Maslany) as well as her clones Kasima and Allison seem to be resembling nooses as the first season of this amazing show rockets towards its finale, only two episodes left after this! Art (Kevin Hanchard) and Angela (Inga Cadranel) learn that the Jane Does they’ve been investigating are dead ringers for who they believe is Beth. So they start running down any lead they can find, however slim. They track down Felix (Jordan Gavaris) through the paperwork he had to fill out at the morgue, and Art realizes he was the same fella who called about Beth. Leekie (Matt Frewer) and Delphine (Evelyne Brochu) decide to up their activity on Kasima, and Delphine is sent in to seduce and be seduced by Kasima. Helena finds a letter in the jacket she got from Sarah with a letter and pictures from Kira (Skyler Wexler), which troubles her, because as far as we’ve seen so far, none of the clones can have children, suggesting of course that Sarah is the original, despite what Helena’s religious nut handler, is telling her. Paul (Dylan Bruce) convinces Olivier (David Richmond-Peck) to keep the secret of the other clones from Leekie from now, but that gambit doesn’t pay off. Allison in the meanwhile files for divorce and then has an afternoon encounter with Aynesley’s (Natalie Lisinska) husband, then shows up drunk at Felix’s apartment moments before Art and Angela arrive to run down their leads. In the end, Sarah and Allison end up at Mrs. S’ (Maria Doyle Kennedy), as Sarah tries to learn more about her past, and keep Allison safe for the time being. Things get even worse when Helena shows up, and abducts Kira! Bad enough, and you know we’re racing towards a heart-stopping cliffhanger of a climax to the episode but I have to give the episode writer Karen Walton and series creators Graeme Manson and John Fawcett for not afraid to take the series to dark places. As the episode is about to end, Kira wanders into a street heading towards Sarah, only to be hit by a car! THAT is something you never see in a television series, or film, children seem to be off-limits usually when it comes to bad things happening in a series, but every now and again, one comes along, and BOOM, knocks you for a loop. This one practically knocked me off my chair. The series was dark to start with, in a good way, and then it’s done nothing but get darker since then, plunging us into a dark and murky world of questionable ethics and allegiances, not to mention fringe sciences. It’s been a roller coaster ride since it’s beginning with every member of the cast turning in captivating performances and keeping their secrets from us. If you haven’t been watching all the amazing things you’ve heard about the acting, writing, and design of this show are correct… it’s amazingly brilliant and addictive television. Catch up!